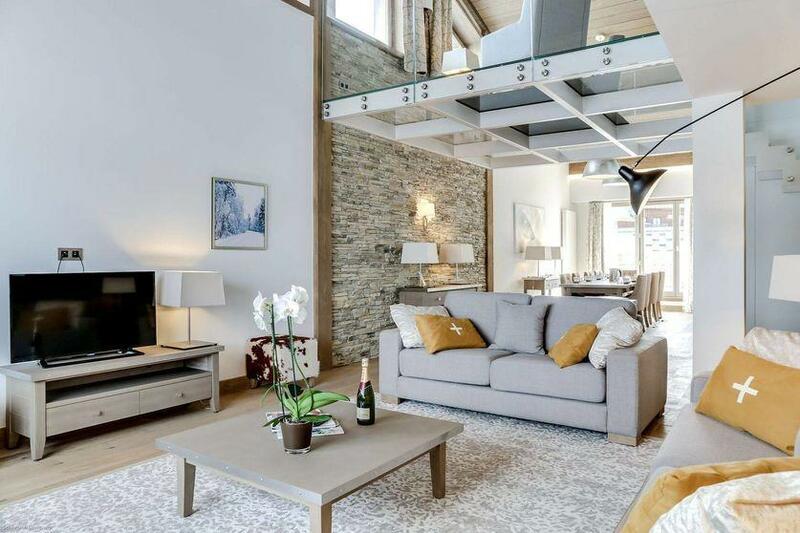 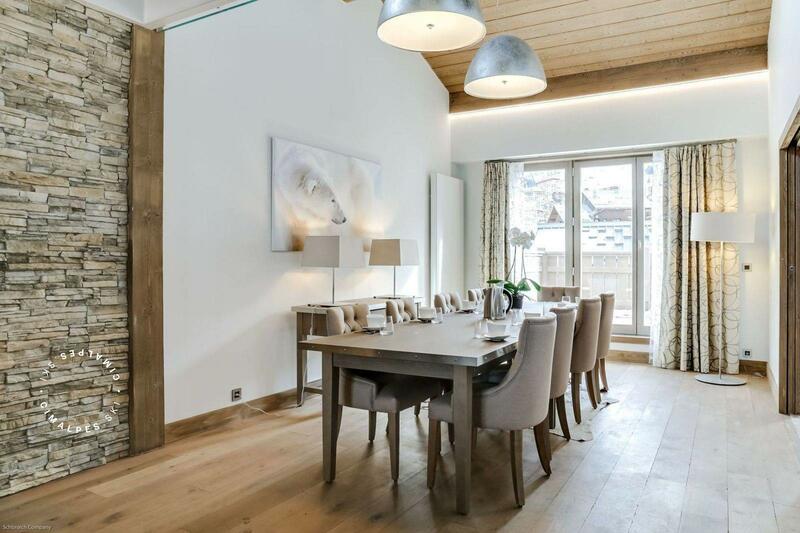 The sumptuous duplex apartment 250 of the residence Le Carré Blanc awaits you for for your ski holidays. Original and design, the master piece will not be left unnoticed: a magnificent spiral staircase with glass steps brings an original contemporary touch to the Alpine décor. 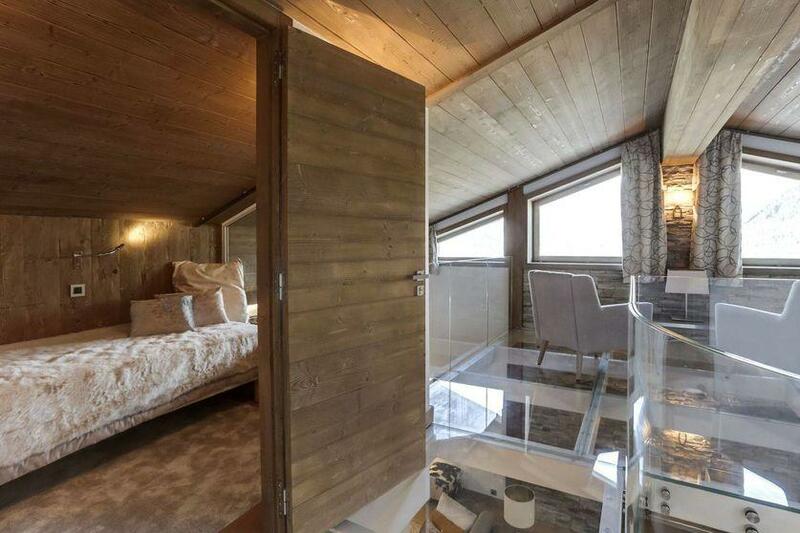 On the first floor, another original element: a separate room with a transparent glass floor. 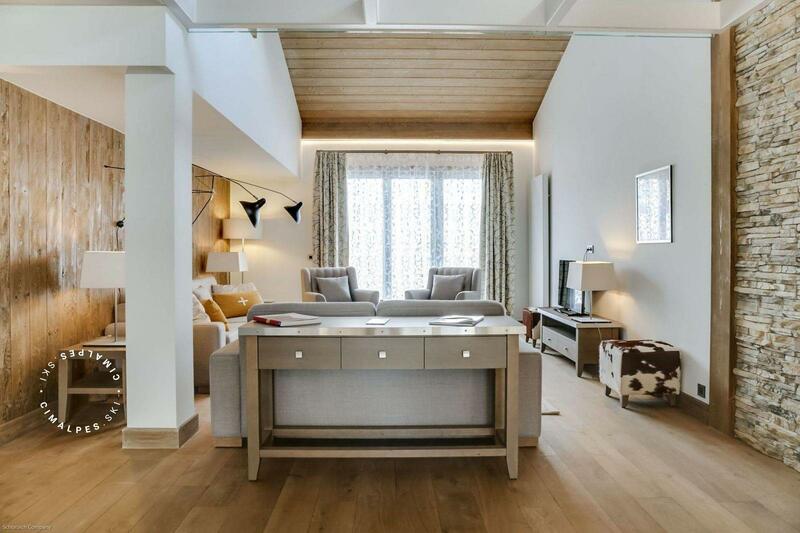 Not only design, it also increases the natural luminosity of the apartment. 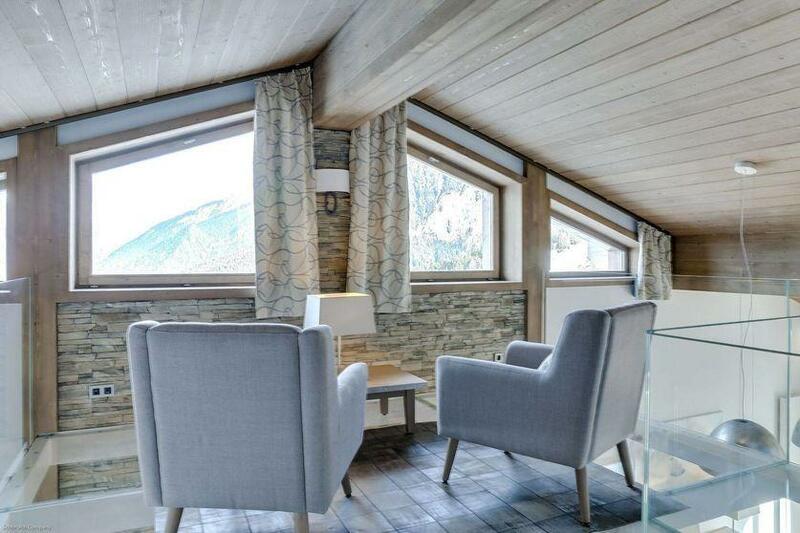 Wooden ceiling, stone and wooden walls, Scandinavian chairs... 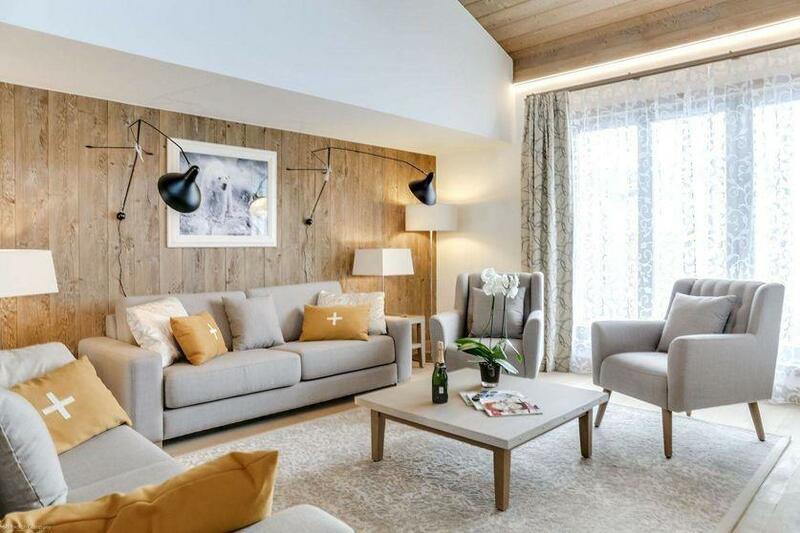 The decoration is up to date and may be, a litte forward thinking. 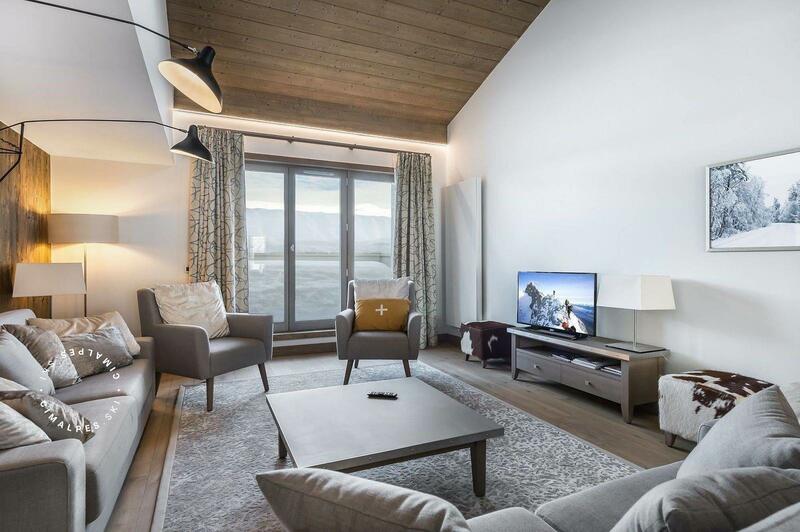 The living room is composed of an chic family lounge with modern and comfortable furniture, perfect for watching television and unwind after a long day on the slopes. 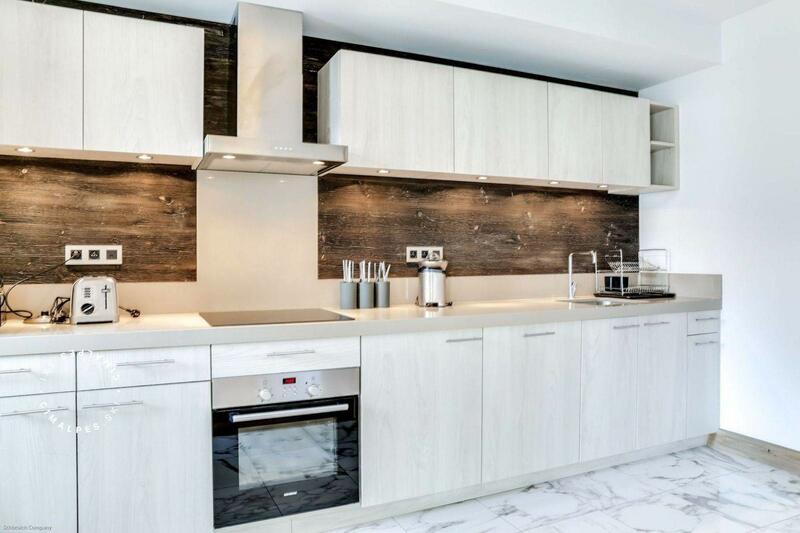 The kitchen mixes both traditional style, with beige and dark wood, and contemporary style with its equipments and its marbled white floor. 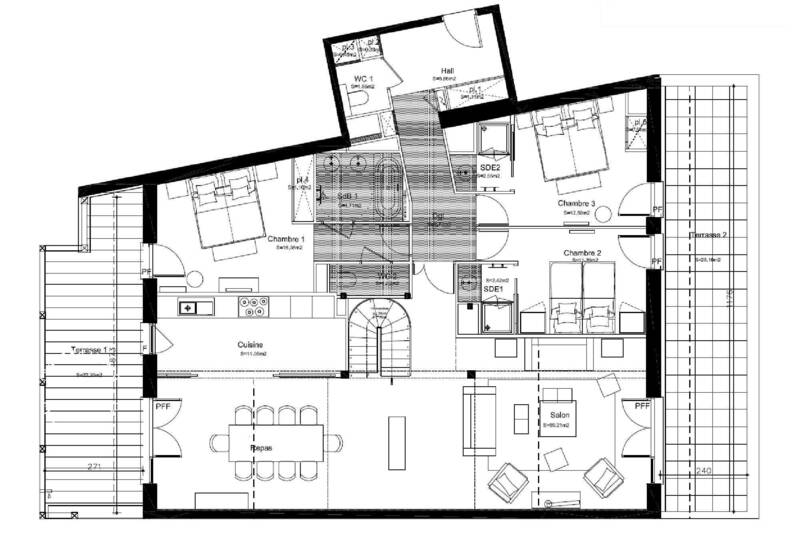 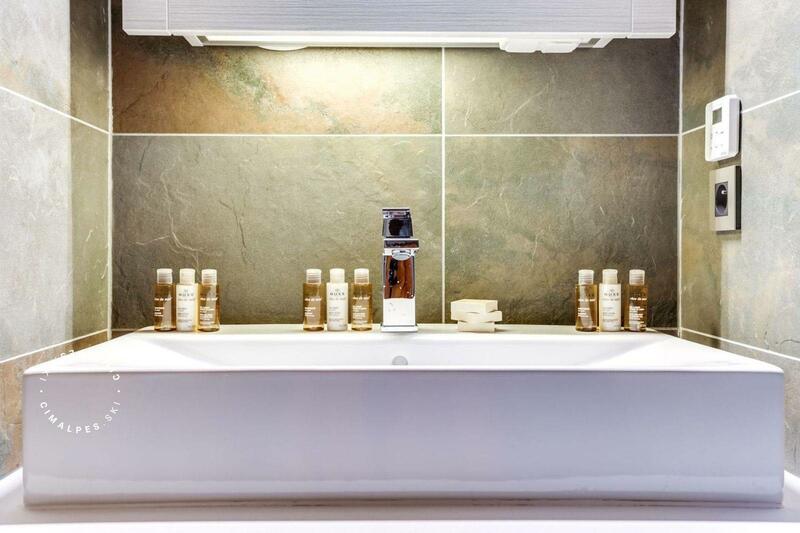 The Carré Blanc residence features a relaxation area with sauna, massage room, and concierge services worthy of the 5 stars hotels. 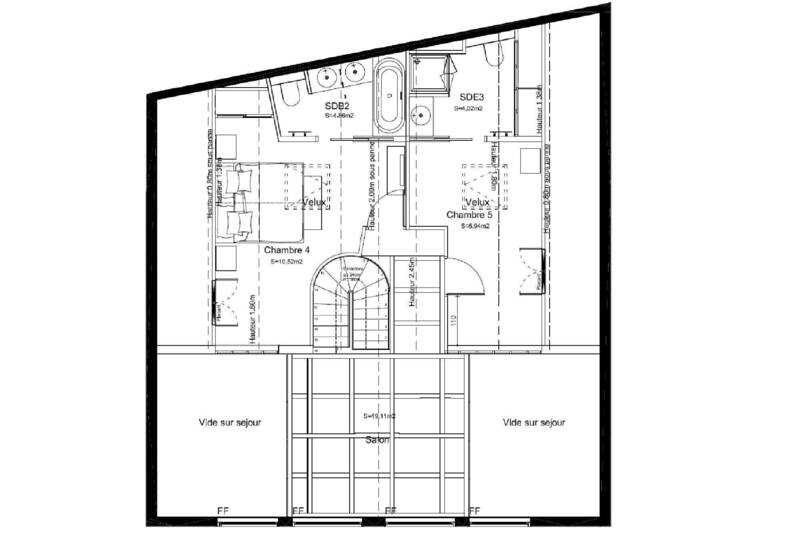 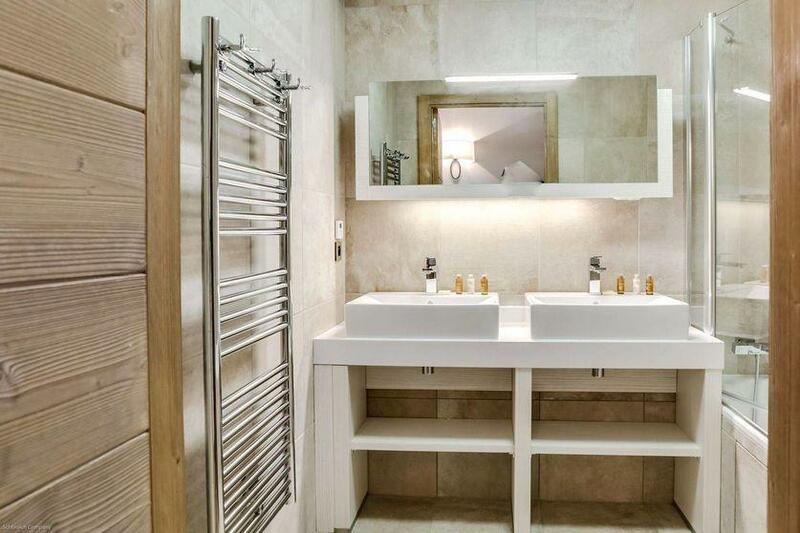 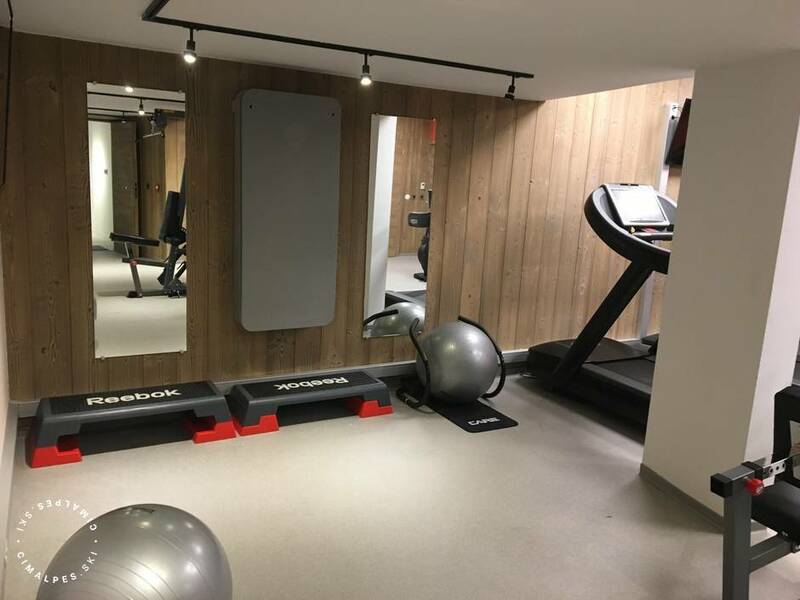 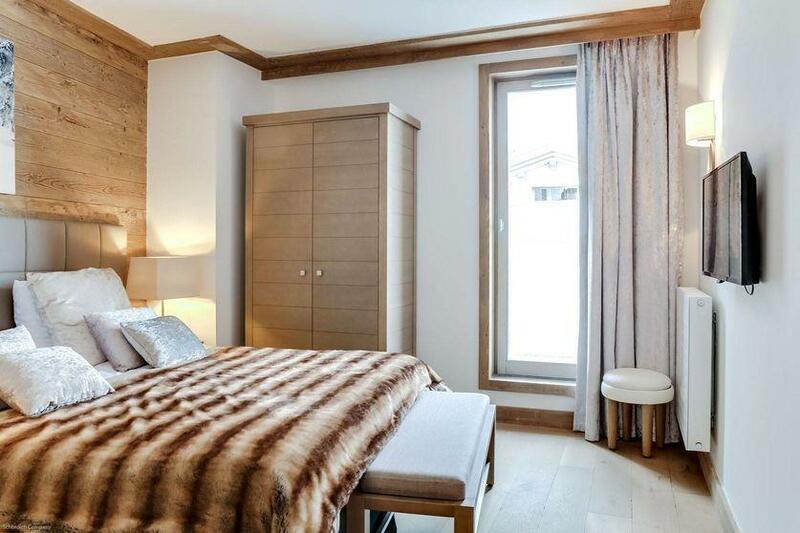 The Apartment Carré Blanc 250 has 2 private parking spaces, located in the underground garage of the residence. 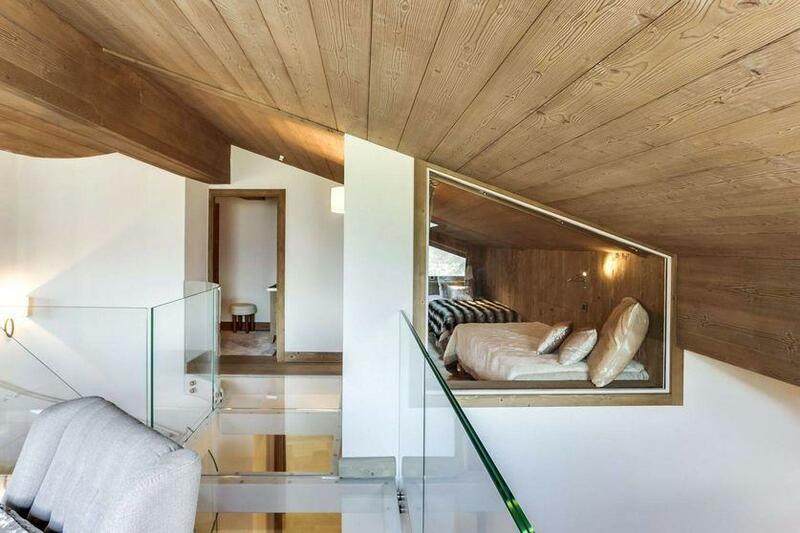 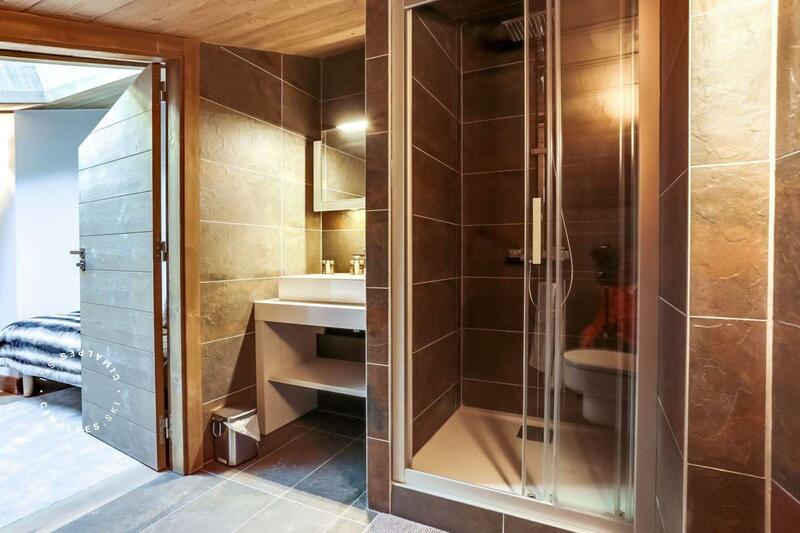 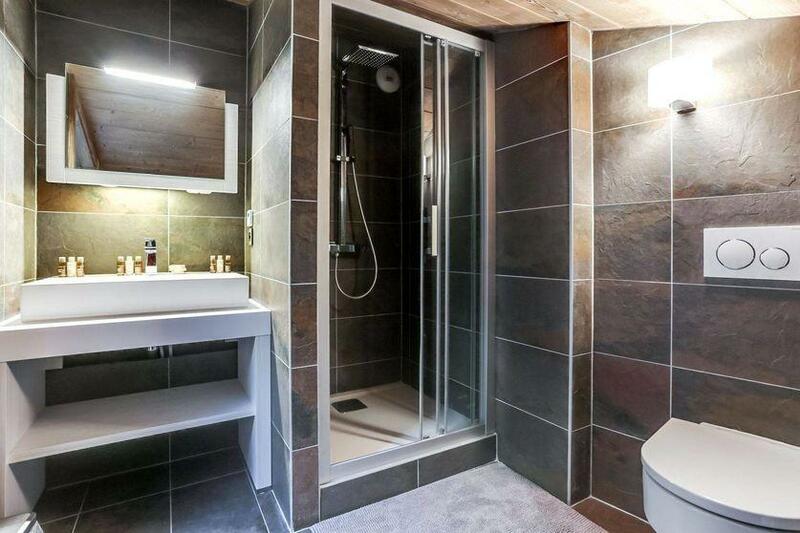 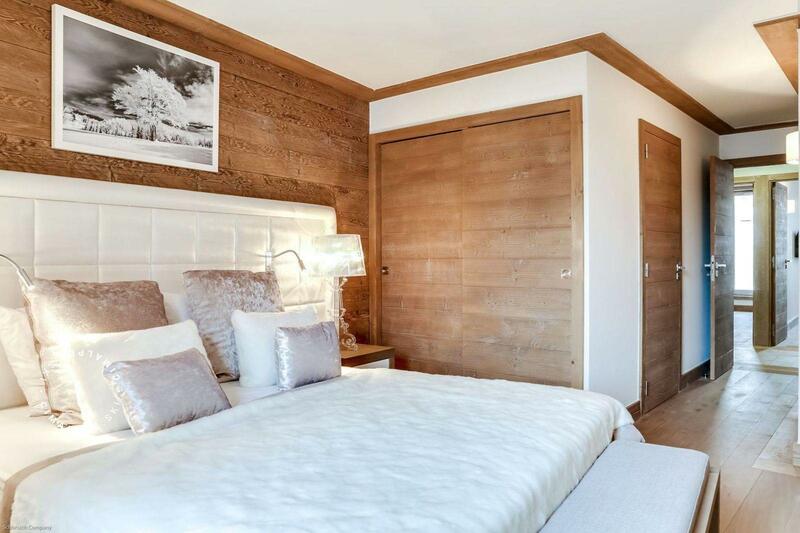 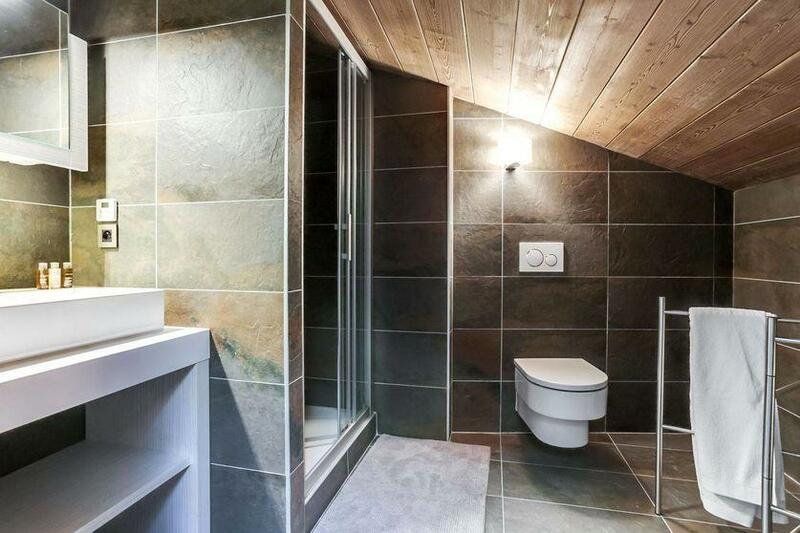 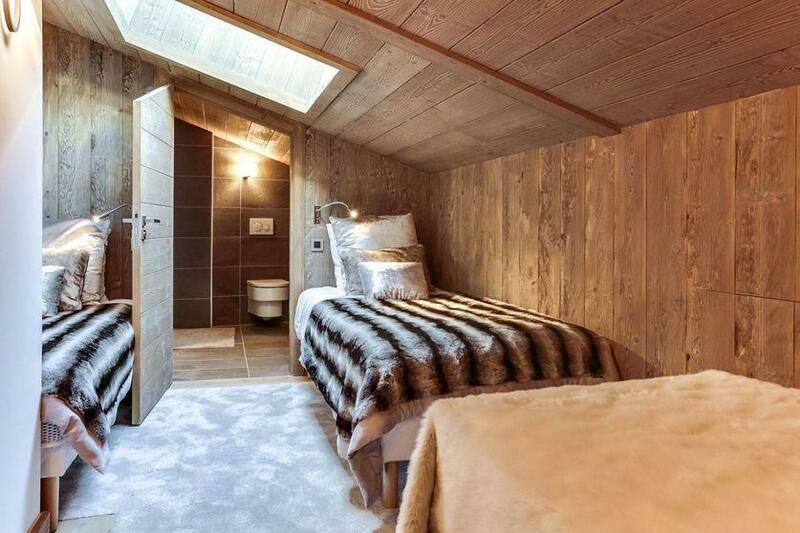 If you are looking for a ski apartment for rent in Courchevel, you miight have found a rare jewel here. 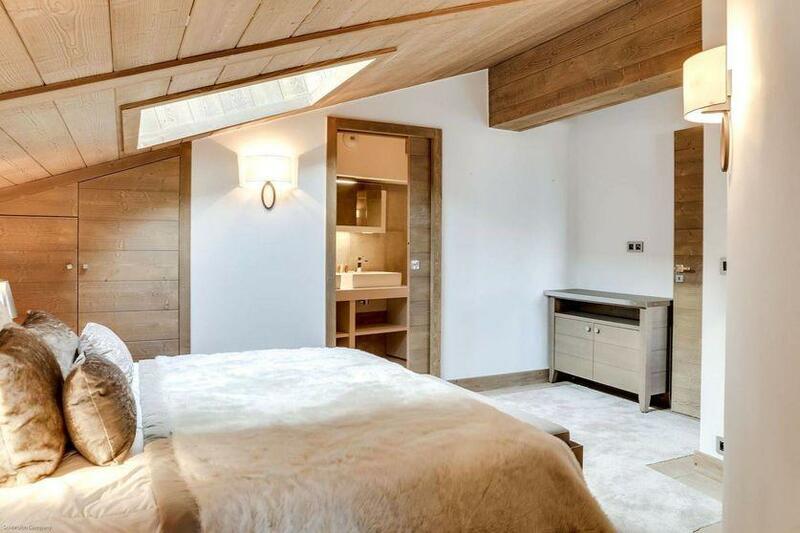 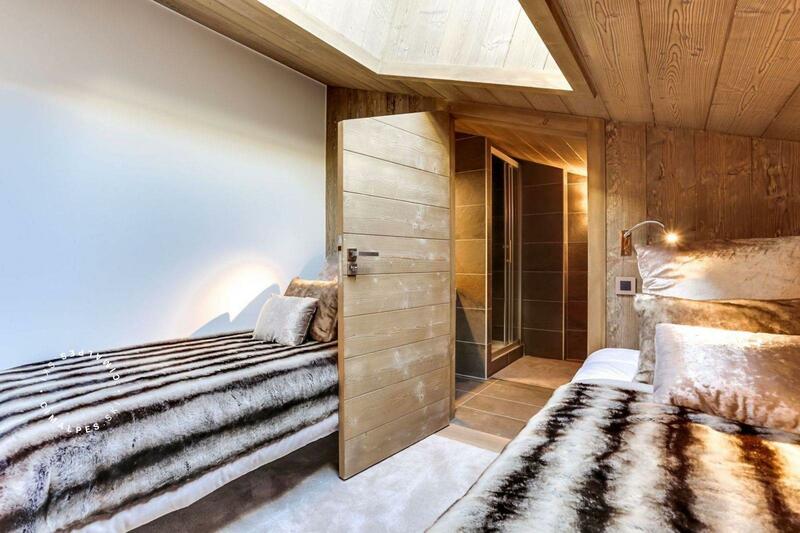 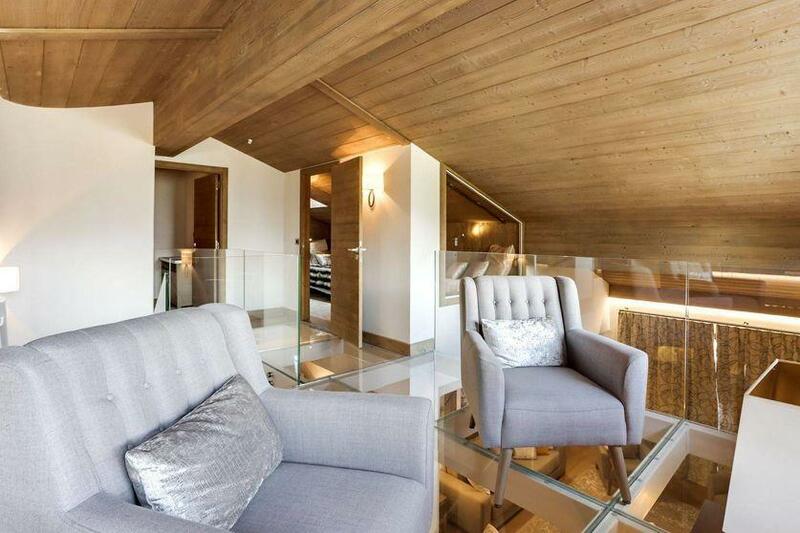 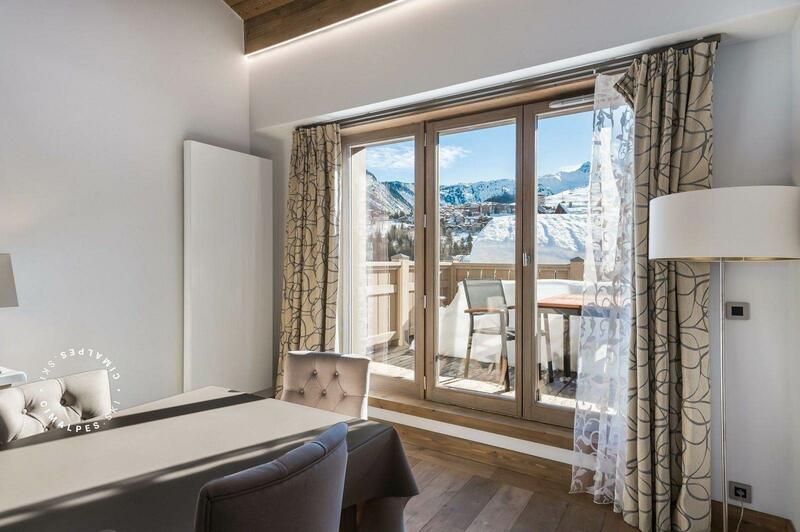 Beautiful traditional apartment on the 5th floor of the new luxury residence Le Carré Blanc in Courchevel Village (1550). 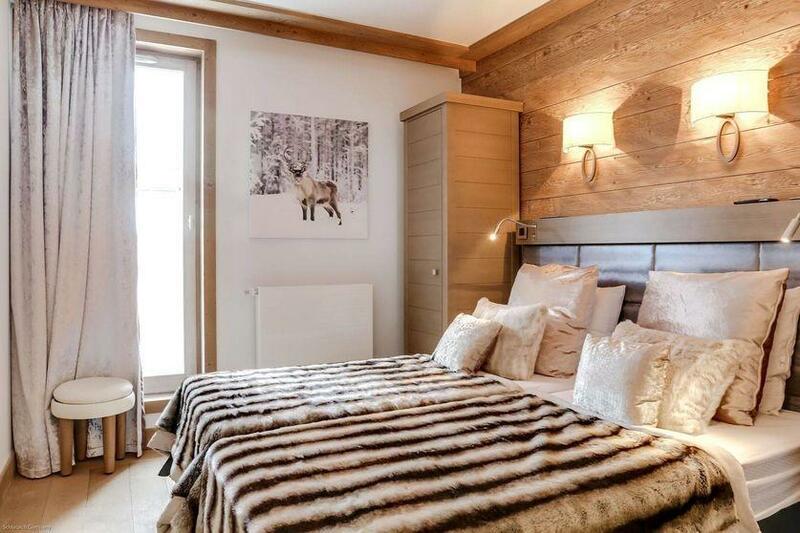 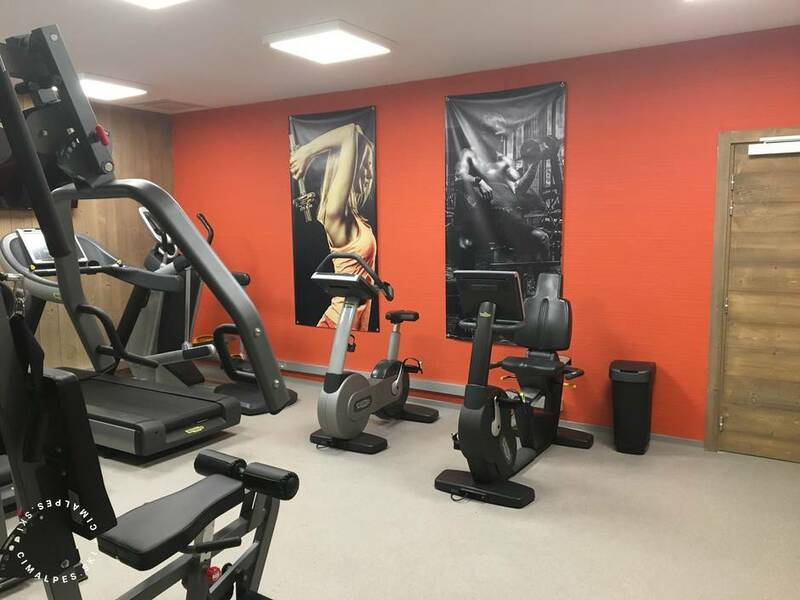 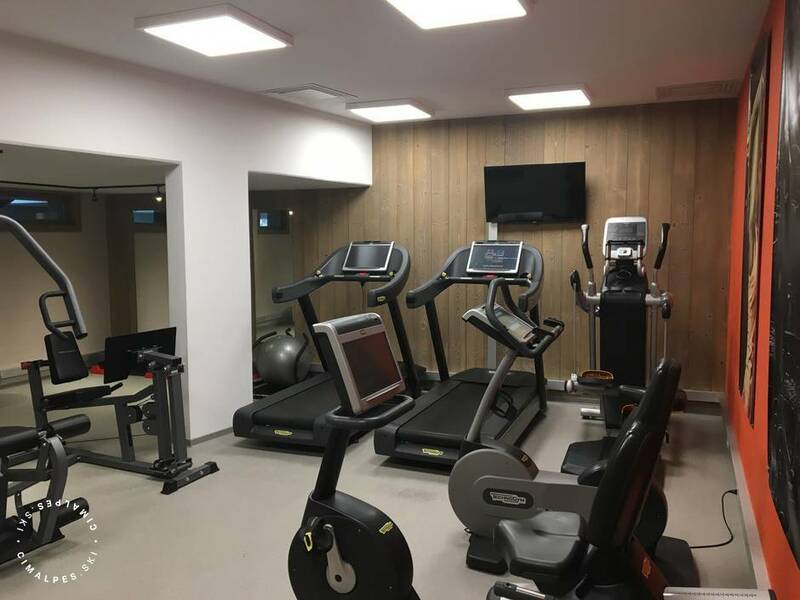 It is located in the heart of the resort, close to all the amenities and the ski lifts. 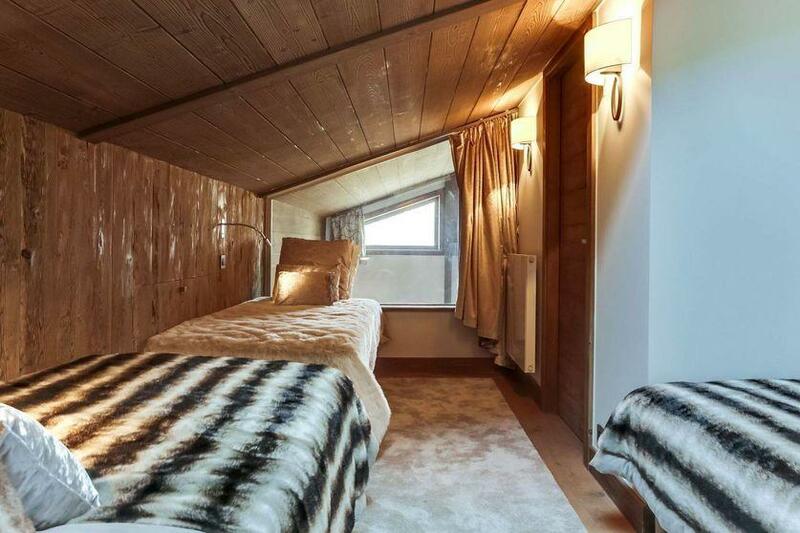 Ideal for ski holidays with the family.